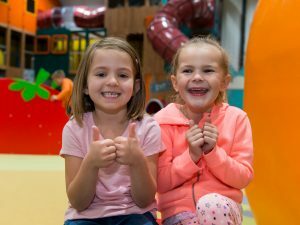 Run jointly with Kids Play Childcare our Activity Day Camps are suitable for children aged 4-11 years of age, the camps will run every day throughout the school holidays. 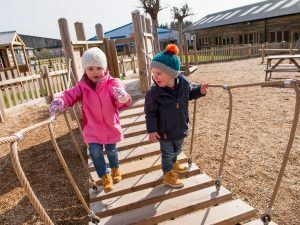 • Entry to Mead Open Farm • Ofsted Registered Childcare • Open from 8.30am until 5.30pm • Early and Late Clubs available • Two-course hot lunch and light tea • All drinks and snacks provided • Exclusive early use of Shaggy’s indoor PlayWorld. 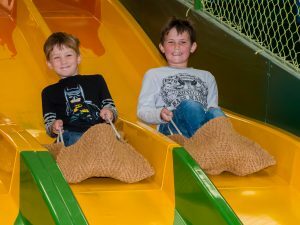 (Please note that children must have their arms and legs covered to ride on the slides in Shaggy’s PlayWorld, and socks must be worn at all times while playing in the PlayWorld) • Plus a full schedule of action-packed activities including Crazy Golf, Go Karts and visiting all our furry friends in the Animal Barns. Consecutive Day Savers Book 4 consecutive days £169.00* Book 5 consecutive days £211.00* *Please note, the extra 10% discount is not valid on 5 days for £211.00 or 4 days for £169.00 offer. Early Bird Offers Buy any single days by the Early Bird Discount deadline and receive a 10% saving! 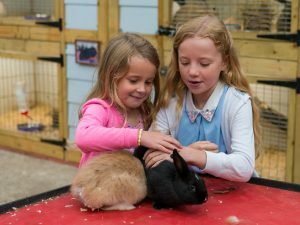 Extra savings for Mead Open Farm Child Members To save as a member, you will need to enter your Membership Number at Checkout and will receive the following discounts: EXTRA 10% off single days when booked by the Early Bird Deadline. Should you miss the Early Bird Discount deadlines, members still receive a 10% discount off the standard rate. *Please note, the extra 10% discount is not valid on 5 days for £211.00 or 4 days for £169.00 offer. Paying with Childcare Vouchers? No problem! Our online booking system allows you to pay with vouchers. You can follow this step-by-step process to add Childcare Vouchers to your account in order to use them for payment of camp days. Please click here for a step-by-step process. Save 10% (Early Bird) Offer: Not valid with any other discount offer (including consecutive 4 and 5 day week discount prices). To obtain this offer you must book online and pay in advance by the Early Booking Deadline. Bookings made after each deadline for the respective Holiday Dates will be subject to the standard day rate. No refunds or date changes are possible unless cancellation fee is purchased. You cannot transfer bookings into another child’s name. Childcare vouchers are accepted for this offer and must be added to your account prior to each Early Booking Deadline. Enter your email address to join our newsletters and be in with a chance of winning a Family Ticket!